Bethany Caruso: Females must carry as much as 50kg daily for each family member for drinking, cooking and cleaning. NZ Herald 28 March 2016: Imagine going through your day without ready access to clean water for drinking, cooking, washing or bathing. Around the world, 663 million people face that challenge every day. They get their water from sources considered unsafe because they are vulnerable to contamination, such as rivers, unprotected wells, streams and ponds. 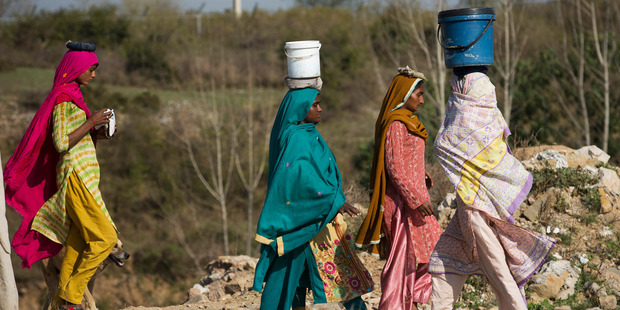 And the task of providing household water falls disproportionately to women and girls. Water, a human right, is critical for human survival and development. A sufficient supply of biologically and chemically safe water is necessary for drinking and personal hygiene to prevent diarrhoeal diseases, trachoma, intestinal...read on.